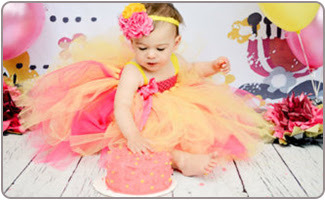 Celebrate your little princesses first birthday with a party fit for royalty! We have tons of special princess birthday party ideas in India, to pamper your little princess in the royal manner that she deserves on her big day! 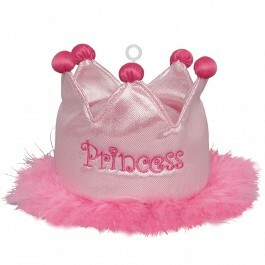 Start planning the princess birthday party about eight weeks prior to the big day. 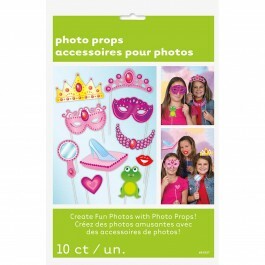 This will give you the time that you need to gather all of the princess party supplies that you will need, and give your invited guests plenty of time to RSVP and make any travel plans if they are coming from out of town. Find out ahead of time how many little girls will be attending the party, even if they will be older siblings or older cousins. This will give you an idea as to the sizes as you can create a pretty tulle tutus for them. 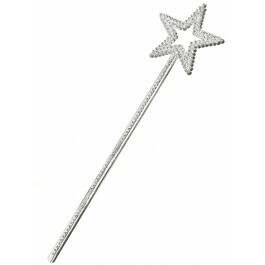 This way every little girl can be a princess for the party! While coming up with princess birthday party ideas you may think that your home is not big enough to accommodate all of your family and friends. Consider hosting the party at your community pool's clubhouse if the weather is agreeable, or ask a relative if they'd be willing to let you host the party at their house. Another affordable option is your local YMCA; it will offer plenty of space and room for kids to run around. Hosting the party outdoors will also make cleanup a lot easier, and will give you a little bit more room to spread out. Everyone enjoys fresh air, and so will your little princess and her royal court! 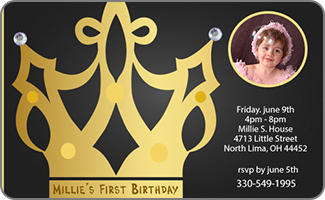 Preprinted princess birthday invitations can save you a lot of time if you are in a time crunch, and can also introduce the party guests to the royal theme. Our princess party supplies all beautifully coordinate to ensure that the party is every bit as put together, as your little darling will be on her royal birthday. Visit your craft supply store for some card stock and fold it in half. Print out pictures of your little princesses' favorite Disney princess and use hot glue to apply the pictures to the card. 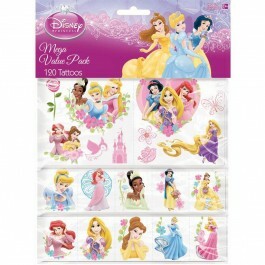 You could also use princess stickers or decals. Using your neatest handwriting or calligraphy skills, you can use phrases like "You are royally invited!" or "Celebrate with our little princess!" Trace out the shape of a princess tiara onto card stock. Using a glue stick and some pretty pink or purple glitter, create a simple but dazzling border of glitter around the tiara. Neatly write the details of the party inside of the glittering border, or print the details onto pretty pink paper and glue them to the tiara card. A few princess wands can transform the invitations into a royal invite that everyone is sure to love! Simply punch a little hole into the corner of the invitations you are using and attach the invitation to the princess wand using a matching ribbon. Hand-deliver the invitations to local friends and family, they are sure to get a kick out of it . Fun princess birthday party ideas include opting for padded envelopes to mail the royal invitations and include a few pretty princess-themed goodies to get your guests in the right mood for the regal event. A few pieces of dazzling costume jewelry, a little princess tiara and a wand will all help to get the royal guests excited for the big event. Be sure to include any special party instructions along with the princess birthday invitations, including dates, times, and perhaps even a note to encourage guests to dress in their royal finery. A princess piñata filled with age-appropriate candy and princess themed goodies is sure to be a lot of fun for all. 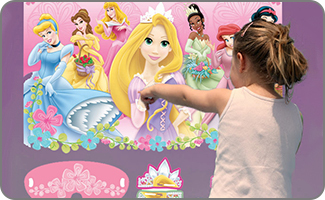 Pin the tiara or pin the star on the princess, very similar to pin the tail on the donkey, is a fun game for the party guests of all ages. When guests arrive, give them each a feathered boa, a tiara and some pretty sparkling necklaces and bracelets to get them in the princess party mood. Princess birthday party ideas for themed crafts that include coloring in princess pictures or making gem-covered princess hats can be a fun game for older children. Since one year olds often have limited mobility and a limited attention span, consider putting on a favorite princess DVD for them to watch for a little bit. 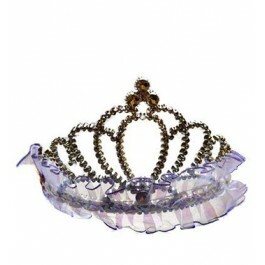 A cute princess tiara is one of the best princess birthday party ideas for return gifts for guests. 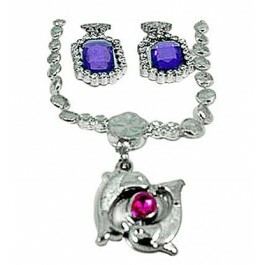 Add a few sparkling jewelry pieces or a set of princess butterfly wings. Disney princess figurines and coloring books are also great choices. A glittering clutch purse or princess themed backpack can make a great container for the return gifts. 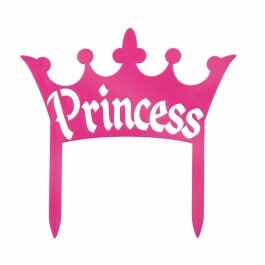 Princess stickers and princess themed candy is also great choices for older party guests. 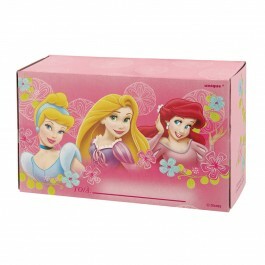 A princess-themed DVD will make a long-lasting memento that the little princess guests will enjoy for a long time to come. Little boys attending the party might not enjoy the glittering princess goodies but they can have just as much fun with plastic dinosaurs, bouncing glittery balls, or with army men. 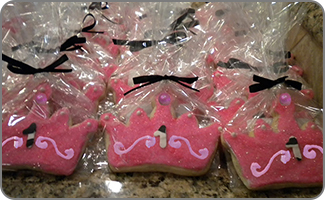 You can also give edible favors like cookies cut in the shape of a Tiara and nicely packed with a pink ribbon. Serve the royal court little sandwiches that have been cut out using cookie cutters in the shapes of hearts, stars, or tiaras. Cream cheese and jelly sandwiches are favorites amongst little princesses. Chocolate covered banana slices and strawberries can be a true royal treat. A princess birthday party will only be complete with a princess-themed cake. 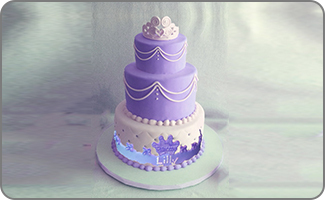 A cake that is in the shape of her favorite princess, the shape of a tiara or royal crown. You can also decorate the cake with party supplies like princess cake toppers; it will truly be the crowning centerpiece of the event. A castle candle, first birthday candle or a princess slipper-shaped candle are the perfect toppers for the birthday cake. Princess cupcakes with princess cake toppers and other princess party decorations will be a sure hit. Serve up strawberry milk or pink punch to the little royals. Offer adults pizza or other finger foods like sandwiches, vegetable trays with dips, or chips and dips. Cover the party table with artificial flowers, balloons, a chandelier, sprinkle some colorful confetti, and even some mini teacups, like those you'd find in a tea set for dolls. 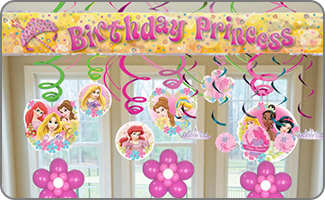 A princess happy birthday banner,streamers, along with other princess party decorations that include First birthday princess foil balloon and wall clings will set the royal mood for the big event. Decorate the outside of your castle with balloons and streamers. Remember to stick to pastel or other princess colors. Cover your chairs with pink fabric that is tucked over the back and over the seat of the chair. Large tulle bows tied around the chair can also transform any living room chair into a throne fit for a princess. 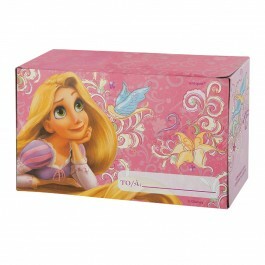 Set the party tables with princess birthday party supplies that include pastel or princess-themed tablecloths. Add paper teacups, costume jewelry, princess-themed paper plates and napkins, and also little tiaras decorating the party room. Cut stars, moons, princess castles, slippers, and tiara shapes out of card stock and glue glitter to them. Punch a hole in the cardstock and suspend the glittering decorations around the party room to add a fun glittering touch. 1st birthday party decals can be added to walls and doors for an extra splash of color and fun. If you are time pressed and looking for first birthday princess party decorations in India then you can have a look at our supplies that will make party planning a snap for you.